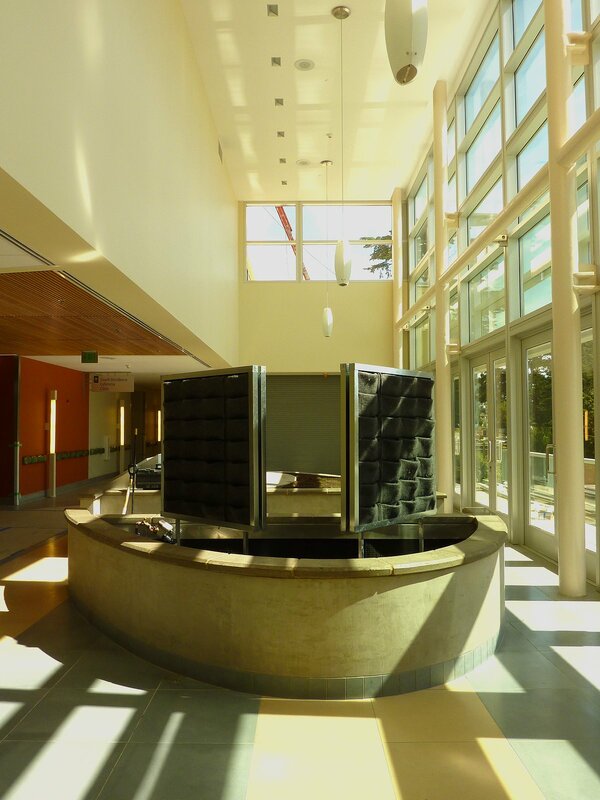 John Alexander, hired PlantsOnWalls to install two vertical garden panels in the newly constructed main lobby at Laguna Honda Hospital in San Francisco. 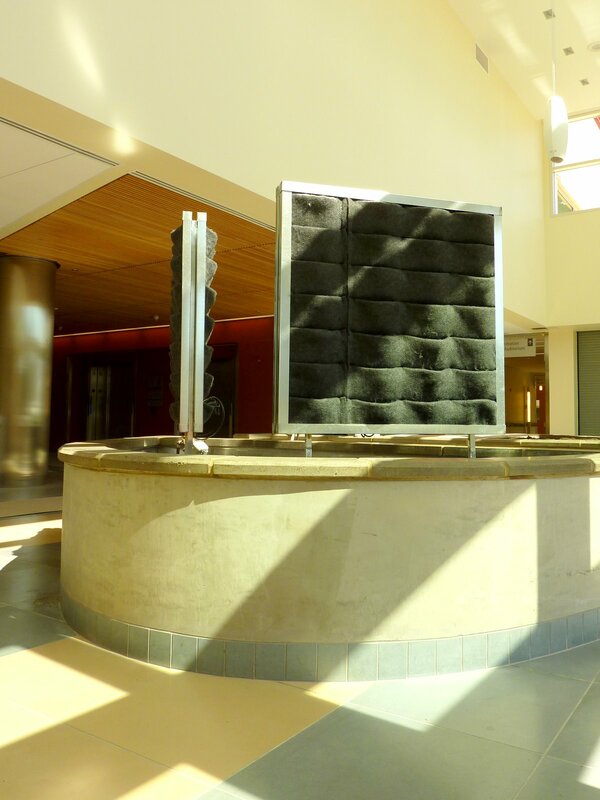 The panels are located in the tall atrium of the 1st floor entry area. John will now complete the designs for planting for the vertical garden panels and architectural planters below.